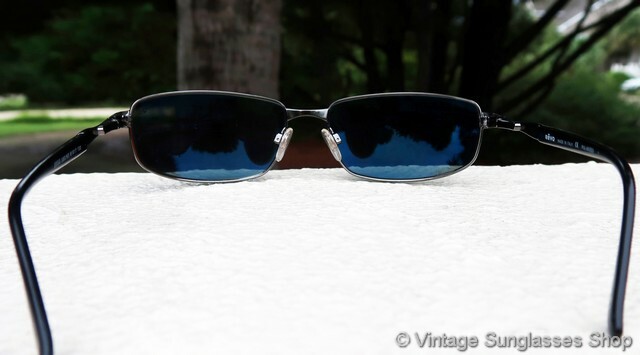 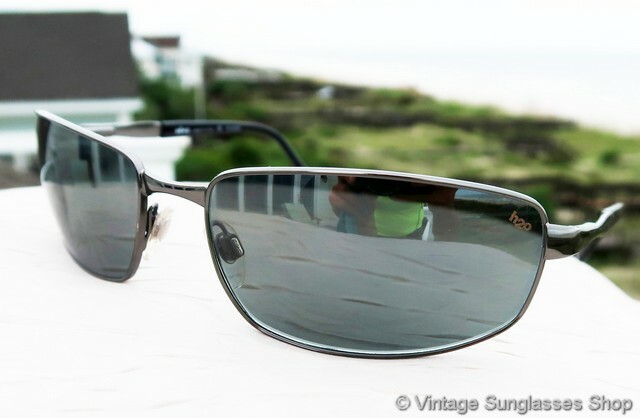 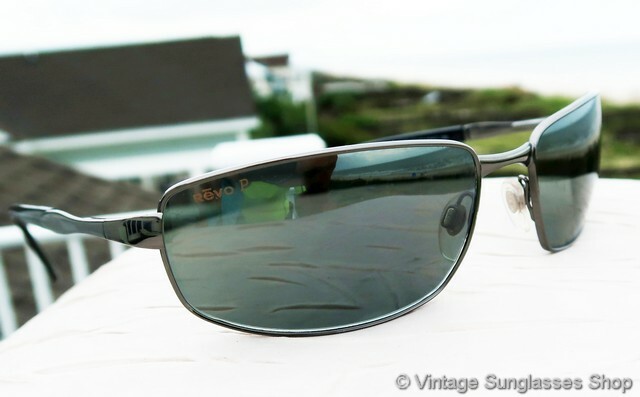 1 Super sleek vintage Revo 3050 080 K3 sunglasses feature Revo P H20 moderately reflective black mirror lenses set in a sleek chrome and black Italian frame. 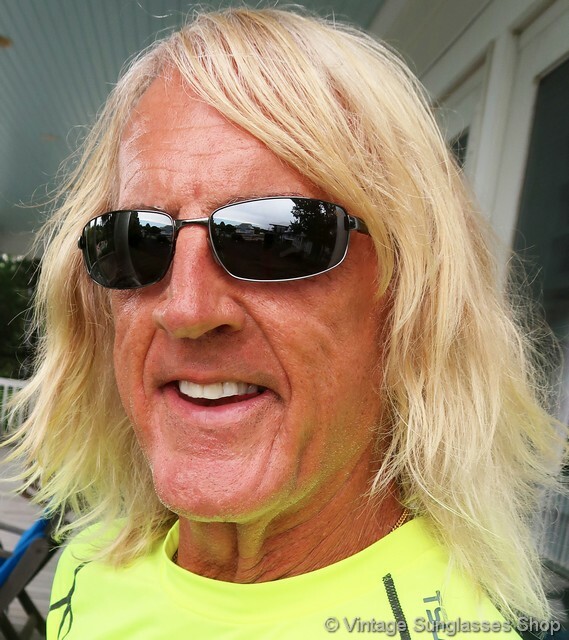 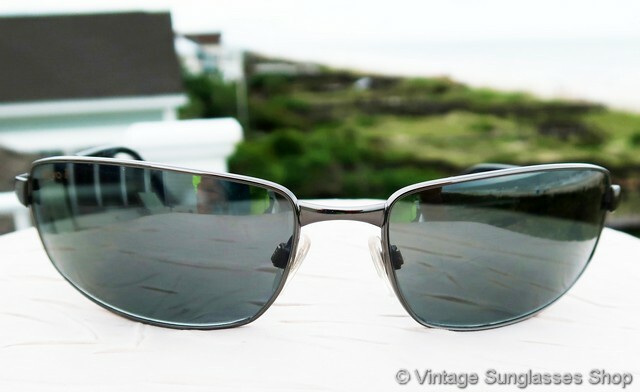 The Revo H20 lenses used in this model are polarized but still have a striking mirror effect when looking at them in sunlight, and they're dark but still pick up some silver tints as well out in the sun. 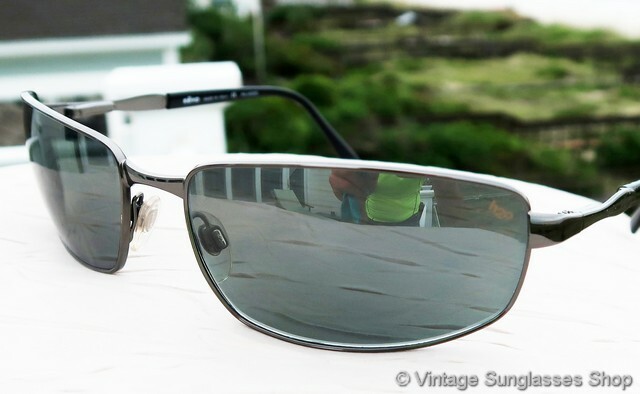 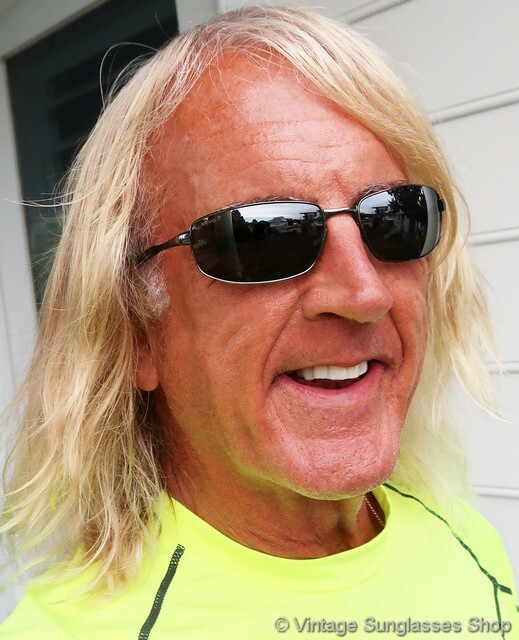 The subtle wrap design is not as extreme as Oakley, but it does serve the purpose of providing your eyes with a closer contour to the face than traditional sunglasses. 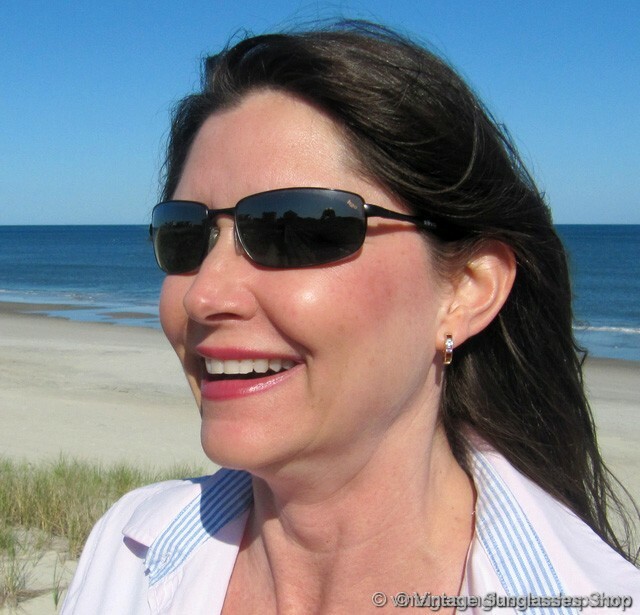 The unisex frame measures approximately 5.5" temple to temple with lenses measuring approximately 2.25" x 1.375" at the widest points. 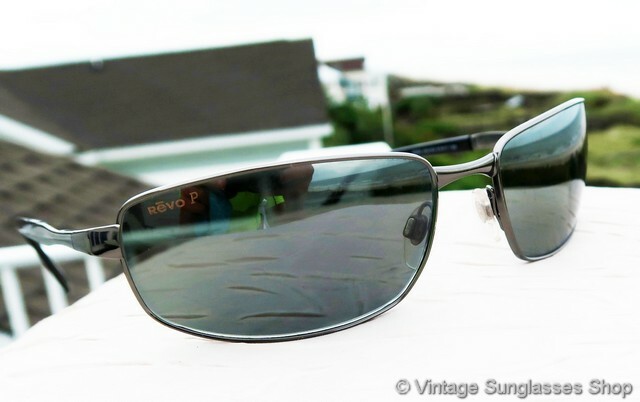 The right lens is marked Revo P while the left lens is marked H20 to indicate Revo's advanced polarization, and the Revo logo is impressed in the chrome portion of both ear stems near the spring loaded hinge points. 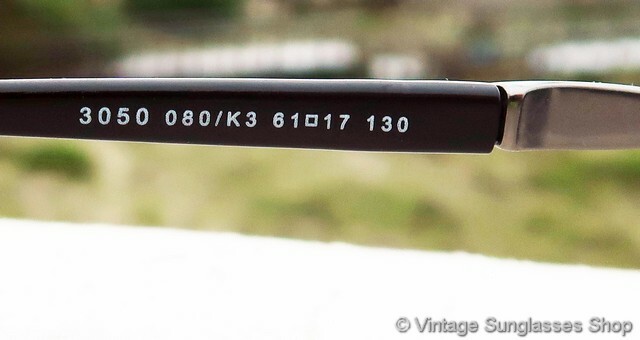 The inside of one ear stem is marked Revo Made in Italy CE Polarized while the inside of the other stem is marked 3050 080/K3 61  17 130, from a major Austin, Texas collector of iconic vintage sunglasses and eyewear. 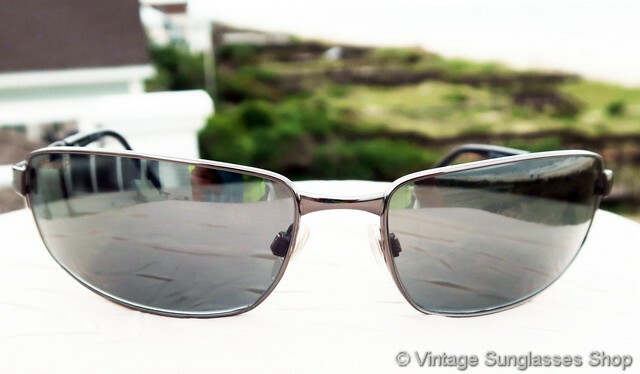 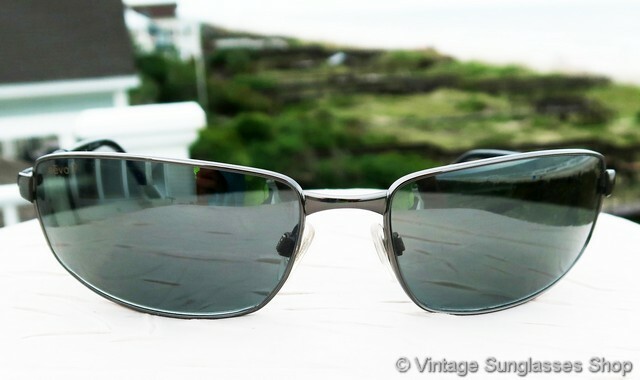 2 Super sleek Step up another level beyond our already unequaled vintage condition standards with new old stock Revo 3050 080 K3 sunglasses in mint, unworn condition.